During the initial consultation we will go over your health history, discuss conditioning goals, and introduce important concepts of breathing and neutral alignment. If you are referred from a Health Practitioner, we will design a session with their recommendations. This session is 1½ hours in length. After your initial consultation we begin working on postural alignment and what needs to happen in your body to create neutral alignment. For each client those needs are different. 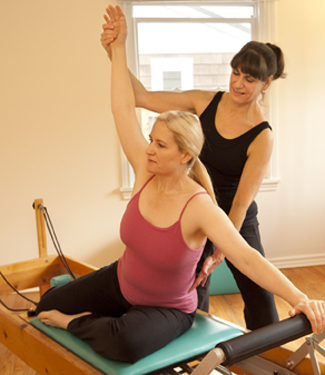 Each session is a unique blend of Pilates and other body therapies to achieve balance. These sessions are 1 hour in length. All session fees include Washington state sales tax.